The biggest night of the year for Hollywood is upon us. Everyone from casual fans to big time movie buffs, have opinions on the Oscars, whether it is predictions or having disdain for the awards themselves. As much as I love the Oscars, I also understand those who despise the entire essence of the show. This has turned out to be one of my favorite years for all the nominated films in all of the categories, despite the controversy surrounding, there are many, many wonderful films deserving of awards. Here are my predictions for tonight’s big show. I’ve been toying with the idea of writing about a favorite older movie (10 years or older) and doing a retrospective on those films weekly. 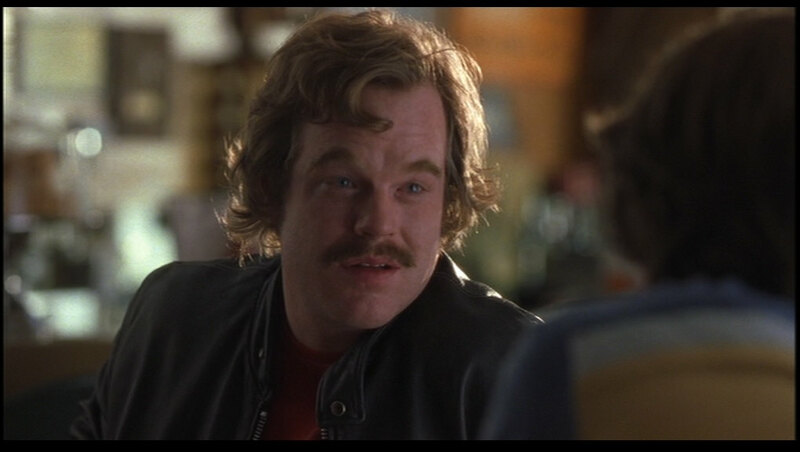 After Sunday’s tragic events where the film and entertainment community lost a pure genius in Philip Seymour Hoffman, it seemed like an appropriate time to start with, what is most likely my favorite Hoffman movie, Almost Famous. One of the best Cameron Crowe films in which Hoffman played the real life eccentric rock critic, Lester Bangs. The semi autobiographical film loosely based on Cameron Crowe’s experiences as a rock journalist as a mid teen. William Miller goes on a once in a lifetime cross country journey with up and coming band, Stillwater. He learns the rock journalism ropes as he goes, he’s guided by his mother, his conscience and his idol, Creem magazine creator, Lester Bangs. Along the way he discovers the truth about fame and discovers love with a well traveled groupie, Penny Lane despite her affection for Stillwater guitarist, Russell. He quickly grows up and out and does better work than the best of the best in his field. His innocence allows the rock stars to open themselves to his young charm. the movie hinges on the relationship formed between Penny Lane and William and between Russell and William but the pin and steady voice is that of Lester Bangs, whose voice of experience and knowledge keeps his journalism integrity in tact even when things start to go off the rails. It’s for this reason that Crowe needed an actor of Hoffman’s caliber to play a role that doesn’t come across as major. Hoffman pulled out a fantastic performance and as eccentric as the real man himself. The film would receive several nominations in both the Oscar and Golden Globe areas. Winning several, Hoffman was left off but not forgotten. Kate Hudson made her career in the first two hours that I saw the film. I was hooked but somewhere along the way she settled. The disappointment could clearly be seen in her face on Oscar night when she lost to Marcia Gay-Harden for her role in Pollock. Despite the path her career has taken her talent should be noted and this film is proof that she can indeed act. All that said, it goes without saying that it is one of the great rock ‘n’ roll movies ever, especially in the fiction area. It has a soundtrack that is quintessential 1970’s. It is a film that does true justice in showing that famous people and celebrities are very normal for the most part, they seek stability and want to be seen the same way… for the most part, there are those as vain as you think. All that said, Philip Seymour Hoffman will hopefully be the remembered area of the film because most of his lines are the most memorable of the film. It is one of the many films of his that will have me tear up every time I watch it from here on out. It’s a flash of the many drops of his genius. Without question, David O. Russell has really come into his own the last few years with hits like, The Fighter and Silver Linings Playbook. 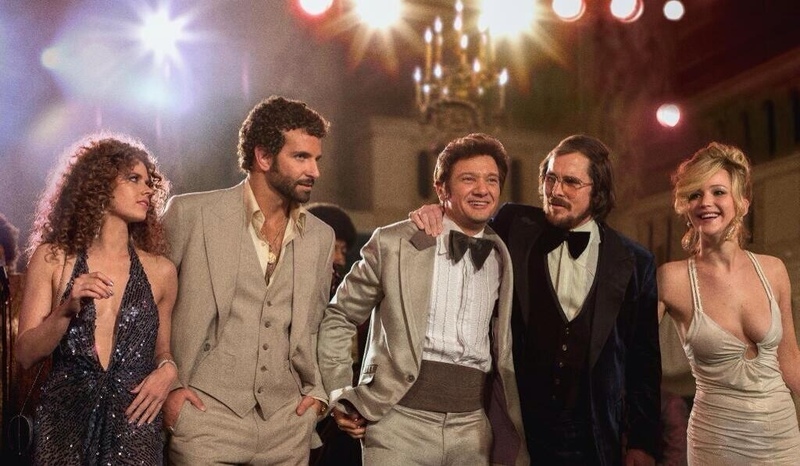 He is once again back in the awards and highly acclaimed films list with his latest effort, American Hustle. His style has really developed a unique way with these films as opposed to some of his early work. With a concentration on character development he has produced more award nominations for his actors than any director in the last 5-6 years. This may lead some to call him an actors director, but I believe he is just letting great actors do what they do best. American Hustle is loosely based on the true story of the long running FBI sting operation in the late 70’s and early 80’s known as ABSCAM. When a highly skilled con man (Christian Bale) is trapped by an ambitious FBI agent (Bradley Cooper), the FBI agent, Richie, enlists the con man, Irving and his British accomplice, Sydney (Amy Adams) to help him trap high profile politicians and white collar criminals. As they attempt to take down a New Jersey mayor (Jeremy Renner) things begin to take many different turns and seemingly spiral out of control for all parties involved. With a reuniting of casts from The Fighter and Silver Linings Playbook, David O. Russell shows that he has a core of actors that he works best with, which include his version of Scorsese’s De Niro with Christian Bale. While it’s no doubt that Christian Bale is one of the best and most, on fire actor in Hollywood, his best work has undoubtedly come in Davis O. Russell’s films. Bradley Cooper again shows his chops off with another stellar performance and Russell may bring another statue in Jennifer Lawrence near future despite her limited screen time. There isn’t too much wrong with the film, it brings great performances and they execution of the story line is well produced but it clearly is Russell’s best. That isn’t to say it’s a bad movie by any means. The trouble is that it will be compared to The Fighter and Silver Linings. This one just doesn’t measure up the same as those. But as always the acting and character, development is great. Bale is outstanding as is most of the other main principles. My biggest problem with acting, unfortunately was Amy Adams, whose in and out british accent I found almost annoying. My negative thoughts should not suggest that it’s not a great film or that it isn’t worthy of it’s accolades. I am at fault of being of those who expect so much out of Russell. I hate when people judge film makers on their previous films, but I just can’t help myself since he had such stellar films his last two and I loved the premise of this film so much I regrettably went in expecting so much more. Thats not to ay I didn’t enjoy myself or like the film, I just expected more. Im none the less in love with the casts that Russell puts together and will watch whatever he puts together with these actors. In 2009 Matthew McConaghey was well on his way to maintaing a steady career as a heart throb and most valuable romantic comedy draw in Hollywood. After a 2 year hiatus he returned with the film, The Lincoln Lawyer and the notion that he is done with making romantic comedies for the time being and he is going to flex his acting muscle. It wouldn’t take long for everyone to notice when he came out wit the dark yet somewhat touching film Mud. It has been three years since his drastic career move and in my opinion it could not be going any better. McConaughey’s latest effort may just be the feather in his cap of his career. 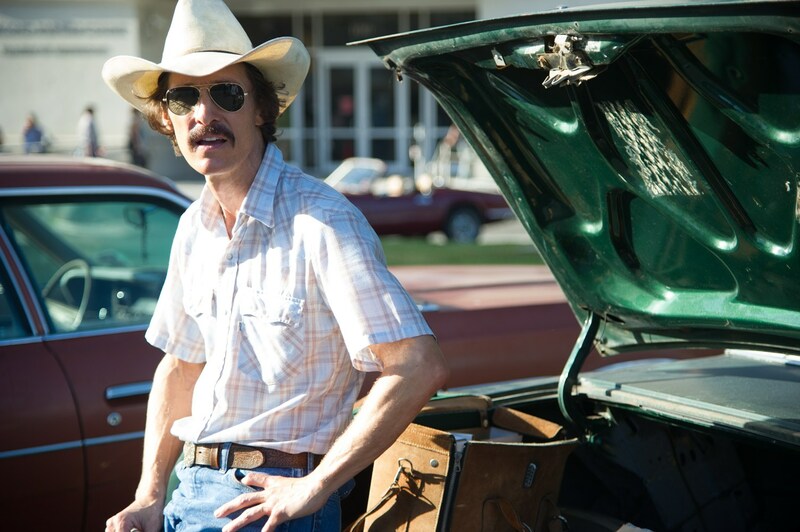 With Dallas Buyers Club McConoaughey gives every ounce he has to the role of Ron Woodroof. The physical site he becomes aside he shows that he has not become a big star based solely on looks alone, he can ACT! The true story of Ron Woodroof is one of strength and tolerance. Intially when you meet Ron, sympathy is not your first emotion, in fact it is far from your first. He is a drug using, womanizing hustler who feels untouchable. In late 1985 the AIDs virus was a new and terrifying illness that struck fear throughout the world. Everyone suddenly became more conscious of who they knew what they touched where they ate and more. Initially thought to be a strictly homosexual disease, it was later learned, and quickly, that no one was immune to it. This leads right into Ron Woodroof’s story. He is diagnosed with the virus at a time just before we learn of it’s full affect. Learning he has 30 days to live Ron is determined to fight and beat this deadly disease that seems unbeatable and deadly. He quickly learns of a new trial drug AZT, which was the first true fight against AIDs. After buying black market versions of the drug Woodroof then is forced to look elsewhere for treatment and finds himself in Mexico where an American doctor has been doing research on the drugs and disease and has developed a natural way of healing. Recognizing the monetary and health value in his work, Ron starts up “clubs” that aid people suffering from the disease. When he enlists the help of a cross dressing homosexual he meets in the hospital not only does his business boom he begns to learn the affect this disease has on everyone no matter their sexual orientation, and while not rying to appear his views on both have changed the change is truly apparent. Woodroof puts up a strong fight not only against the disease but against the medical industry and law enforcement and against intolerance. It’s truly a touching story and one that may have done more good if it had been told 25 years ago. The trouble being the public was not ready or such a story. The front running story of this film was clearly the two headlining roles. Most notably Matthew McConaguhey who’s portrayl of Woodroof was undoubtedly one of the best, if not the best, performance of the year. He clearly appears to be the early front runner for the best actor Oscar. 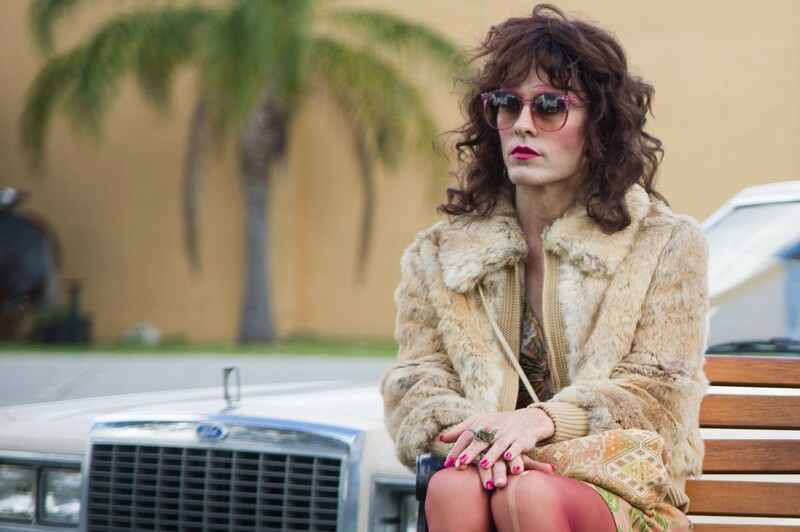 But the bigger lock for Academy Awards ay be Jared Leto who plays the cross dresser that Woodroof befriends and truly begins to love despite huge cultural differences. His transformation is the most amazing and haunting is recent years, leaving everyone with a burned image in their mind of who has been affected and how. 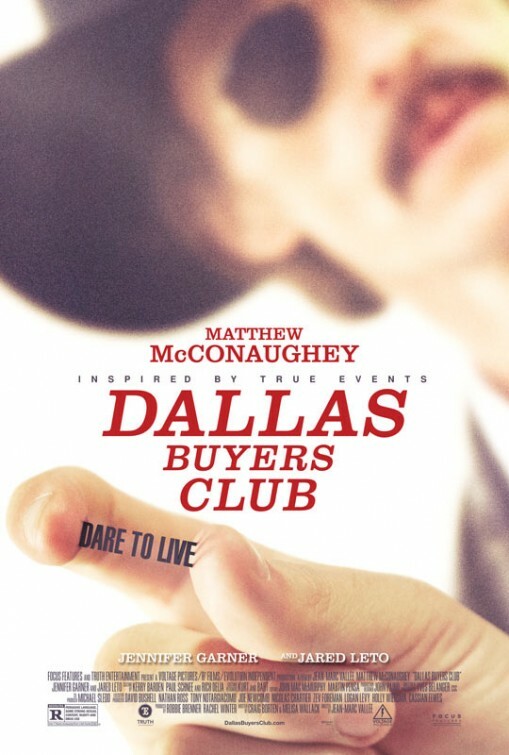 Dallas Buyers Club has made waves since it’s release and will clearly thunder forth as the awards season dawns.